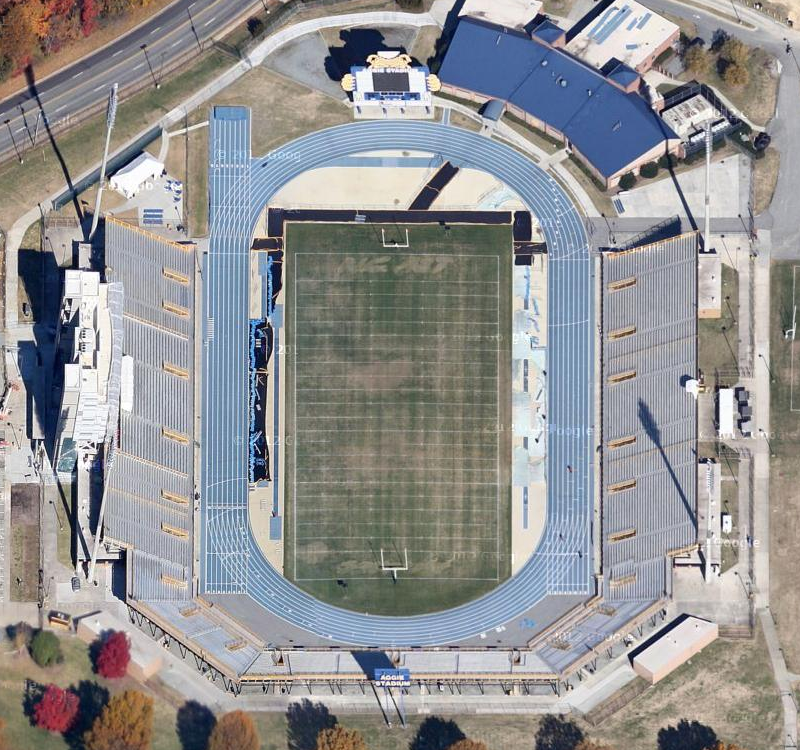 Today’s track can be found on the campus of North Carolina A&T State University, and it is the site of the North Carolina high school state championships. You NCAA track & field fans also know that the East Regional meet was just held here and finished up yesterday. The Aggies hosted two other outdoor meets here this season as well. This looks like, and obviously is, an outstanding facility, and an excellent venue for a high school state meet. Originally built in 1981, Aggie Stadium has undergone a couple renovations over the years, and has a current seating capacity of just over 17,000. In North Carolina, there are four competitive classes for track & field. They each have their own separate 1-day meet, and all were held here. Class 1A and 3A were held Friday and Saturday, May 10th and 11th. Then the following weekend, Class 2A competed Friday, May 17th, with Class 4A wrapping things up the next day, May 18th. Complete results can be found here. In my opinion, qualifying for, and competing in a state meet should be a special experience. When your meet is held at a facility like this, you know it will be something exciting for all of the athletes. I don’t think you can get that same experience by going to another high school for a state championship. Nice job NCHSAA! You guys clearly get it!